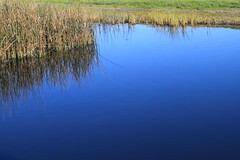 The 2014 California Water Policy Seminar Series, presented by the UC Davis Center for Watershed Sciences and the law school’s California Environmental Law & Policy Center, is bringing together distinguished speakers to discuss how water systems for both ecosystem and economic objectives. 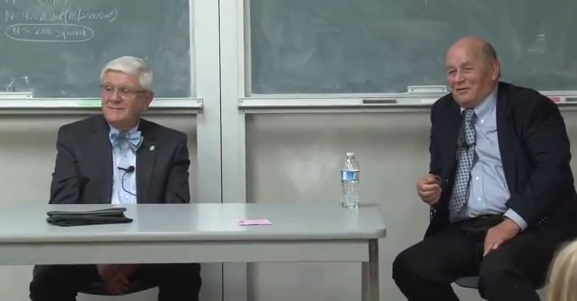 In this set of speeches, environmental law professor Harrison “Hap” Dunning and California Court of Appeal Justice Ronald B. Robie discuss environmental-economic tradeoffs from a legal perspective, with much of the discussion focuses on California’s unregulated pumping of groundwater. Professor Richard Frank, law professor and director of the California Environmental Law & Policy Center at UC Davis, began by introducing the two speakers. 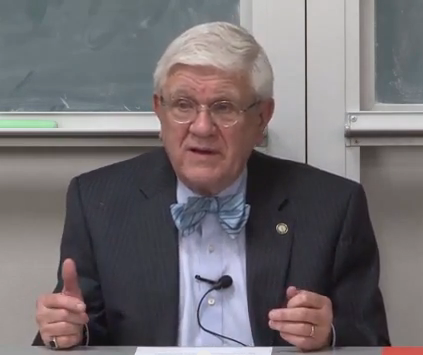 “Justice Ronald Robie is the closest thing I know to a renaissance man when it comes to water and water policy because he has lived it and worked it for many years,” said Professor Frank. 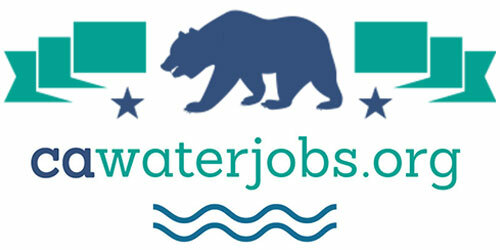 “While he’s been on the bench probably since the mid-1980s, his first career was in water and water policy and if you were to ask him, that’s probably still his first love or at least an engaging passion of his.” Justice Robie has worked in all three branches of state government, and has greatly influenced California water policy, said Mr. Frank. Justice Robie was a member and vice-chair of the State Water Resources Control Board from 1969 through 1975, and was tapped by Governor Jerry Brown in 1975 to be the director of the Department of Water Resources. 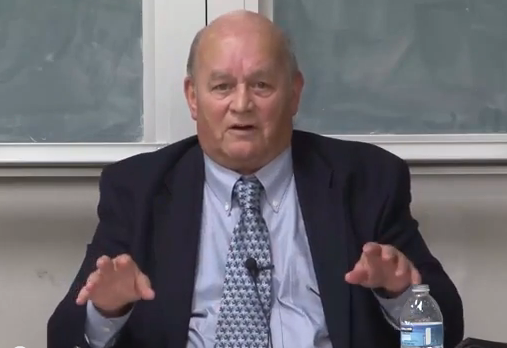 “Since the 1980s, he’s been a jurist, a judge first in the trial court system, the Sacramento County municipal court, when we had municipal courts in the state, and then the superior court,” said Mr. Frank. “He was ultimately elevated and appointed to serve in his current position as Associate Justice of the California Court of Appeal, which is headquartered in Sacramento.” He noted that Justice Robie also has taught at the McGeorge School of Law and participates in Dividing the Waters, a judicial education program for state and federal court judges around the country that focuses on resolving water disputes. 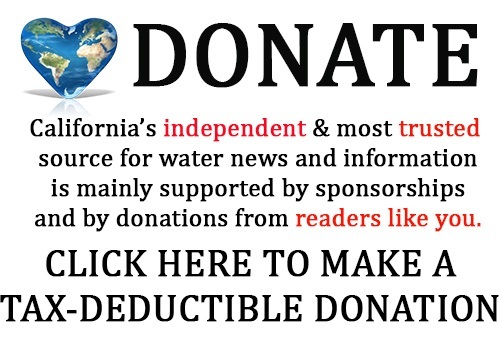 They had a dramatic situation in the coastal urban areas of Southern California in Orange and Los Angeles County where salinity intrusion into the aquifer from the ocean was occurring, he said. “It was a pretty serious problem and as early as the 1930s, they started developing localized groundwater management programs where they would limit pumping in various places and sometimes inject water to form a barrier to the salinity intrusion,” he said, noting that the Metropolitan Water District had built the Colorado River Aqueduct and so there was plenty of surface water to work with. There was also a lot of overdraft on the east side of the San Joaquin Valley, he said. He explained that the Friant Dam, part of the Central Valley Project that is run by the Bureau of Reclamation, was built to send virtually all of the flow of the San Joaquin River to the east side of the Valley to help overcome the overdraft problem. They seemed to ignore the fact that Governor Reagan had taken the Eel River out of the plan for the State Water Project, maybe for environmental reasons but also because some of the Native American tribes up there were protesting, he said, noting that soon after the Commission finished their work, the Eel River received Wild and Scenic designations at both the state and federal level. He then turned the floor over to Justice Ronald Robie. “The land and water interface in California is fragmented because land uses local. Water is either law of the jungle if it’s groundwater or the water board if it’s not, so that’s a coming issue,” he said. The best example of how water rights have been historically rigid is that once you have been issued a license for the water and you’ve used it, the State can’t take it away from you. During the discussion period, an audience member asked how much flexibility there was to transfer and sell water rights and what role can legislators play in incentivizing better allocation of water rights. 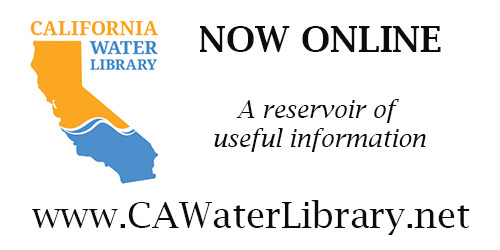 View more speeches in the California Water Policy Seminar Series by clicking here.